Christmas Tree Stand | 10XTS | Free Shipping! 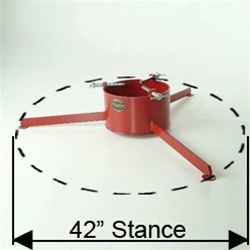 This tree stand will hold trees up to 12 feet tall with an 8" maximum diameter trunk. It weighs 30 pounds and has a 2.25 gallon water reservoir!